Apple has a lot of software that just works, often better than the competition, generating a much-needed steady stream of revenue during a time of shrinking iPhone sales. But Apple Maps was never able to recover from the 2012 Google Maps-replacing fiasco on iOS devices, despite the Cupertino tech giant’s best efforts. Of course, Apple isn’t ready to admit defeat just yet, working discreetly and diligently on improving the strengths and coverage of its web mapping service. 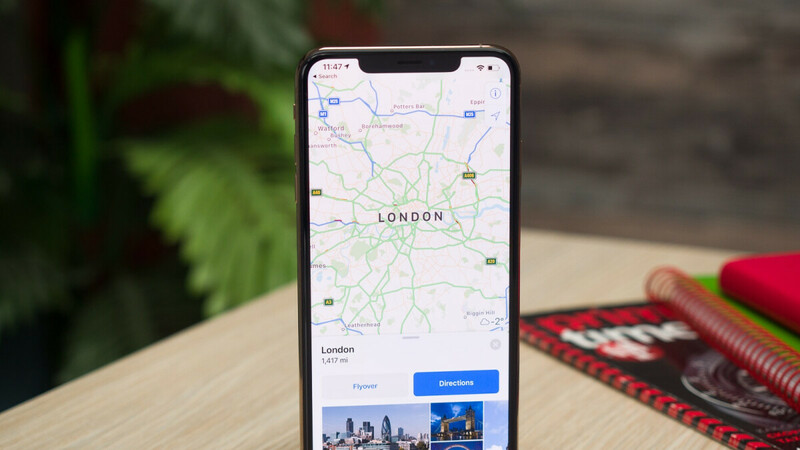 As discovered by MacRumors, both the Flyover and Indoor Maps features have been significantly expanded of late, adding dozens of new locations around the world. With Flyover, Apple Maps users can, well, fly over select picturesque cities and areas, checking out “photo-realistic”, interactive 3D views from above on iPhones and iPads. Availability has gradually ramped up since the 2012 launch, with newly added places on the list including Cannes (France), Freeport (Bahamas), Gifu (Japan), Lake Tahoe (California), Monaco, Padua (Italy), Preston (England), Treviso (Italy), Valladolid (Spain), Yokkaichi (Japan), and many, many more. Meanwhile, Indoor Maps, which offers “detailed directions inside major airports and shopping centers around the world”, now covers North Carolina’s Raleigh-Durham International Airport, as well as way too many new shopping malls to list here. Other notable recent upgrades include public transit information available in larger parts of Louisiana and Minnesota, as well as speed limits for Canadian Apple Maps users. Unfortunately for Apple, Google Maps has been updated a number of times lately as well, both on Android and iOS, focusing both on the driving and communication aspects of the app. So, yeah, it’s still hard for Apple Maps to stand out. Still curious as to why apple is pouring so much money into this. There has to be some kind of monetary/data info kickback that apple is striving for. Because it’s better for Apple users (no need to use Google). Exactly how will it be better? Be specific. No need to have your privacy destroyed and no need to feed more data into the anti-competitive monster that is google. Helps to bring google down a few pegs. He really actually believes that. So...share the data, or at least let apple have some of your precious data finally? Or do you honestly believe apple collects none of your data? Apple wants to get in on the ad revenue game just like Google...or did you forget?? Collecting data in itself is not a problem as long as it is never used to create advertising profiles or used as a means to sell targeted advertising. My data should only be used to improve the product for me and me only. If a company wants to make money selling advertising against my data, they had better be prepared to share those profits with me. My data is valuable and has a price attached to it. I agree...getting a share of the profits would definitely be nice indeed. But for a free app (which I'm sure Apple Maps is)... there's going to be a trade off of some kind - nothing is truely free...not even the air we breathe. So....apple is spending millions upon millions of dollars just to give you and other iPhone users a 'better experience' ?? Or does Apple Maps have a paid version?? I’ve already paid for Apple maps in the purchase price of the device. There is no further payment required to use it. Apple are using the money it made from my iPhone purchase to make Apple maps better for me. It’s exactly the way it should be. Well then... hopefully iPhone sales pick up, or they start charging even more for iPhones, because you might wind up with a half baked mapping experience again compared to what the competition is offering. On a side note - if you're that concerned about your personal data being shared, I hope you use cash instead of debit cards for your daily purchases. I have to ask why you’re so obsessed with what Apple is doing. Are you getting an iPhone or some other Apple products? I expect more from Apple in terms of hardware and software quality - I'm actually more pissed at them not obsessed with them - they should be alot further ahead right now than they are. I'd be interested in maybe trying some of their products, but they don't have much to choose from yet that I find interesting...and they don't usually work with Android phones - and I'm not adopting an entire new platform just so I can try some accessories etc. Remember....just like you, I'm allowed to voice my opinions in any of these articles regardless if you/or anyone finds them offensive or not - just doing my part to try and keep free speech alive and kicking before it gets swept out from under us.... won't be long. I also like to call bs on all their claims of putting customer privacy first...they're sharing customer info - maybe not as much as the competition YET, but they will have no choice but to admit this is / and will be an important form of revenue for them going forward (think Blackberry, and how they were the pinnacle of mobile security...only to give up servers to the middle east for spying / sales purposes). Maybe I just missed you? Wanted to lure you out with a few jabs at apple? lol. This is exactly how I feel about google. The android hardware is decent, but android itself is a terrible operating system and a terrible ecosystem in comparison to iOS. There’s just no point in me wasting money buying Android anything as I’m not going to change my entire ecosystem to something worse than I already have. They are pouring big money, just to feed their EGO... Ego is too costly to feed, even for a co as big as apple. Companies don’t have egos. They aren’t people. I don't think it'll ever match Google Mapz, but it's good for iOS only userz, since they enjoy being in that Apple box. SMDH.